(GRAS) Oil pulling is one of the easiest, safest, most affordable and effective and ways to detox to support oral and overall health. 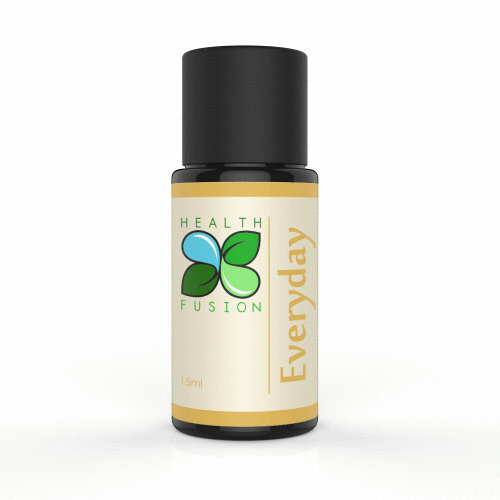 Health Fusion’s Everyday Essential oil blend is specifically formulated to be used in conjunction with daily oil pulling therapy to increase its effects and ability to combat bad breath and pull toxins and metals from the body. Everyday features a blend of oils known for their chelating and anti infectious abilities to directly address infections. Tooth infections are often followed by tooth sensitivity and pain and all too often result in a root canal or tooth extraction. Fight back by oil pulling with Health Fusion’s Everyday Essential oil blend. Ingredients: Cilantro, Coriander, Clove Bud, Myrr Gum, Oregano, Cinnaon Bark, Parsley Seed and Peppermint oils.